Jermaine managed to survive Friday night’s eviction by the skin of his teeth. He received the fewest number of votes from the public but housemates decided to save him over Ben. 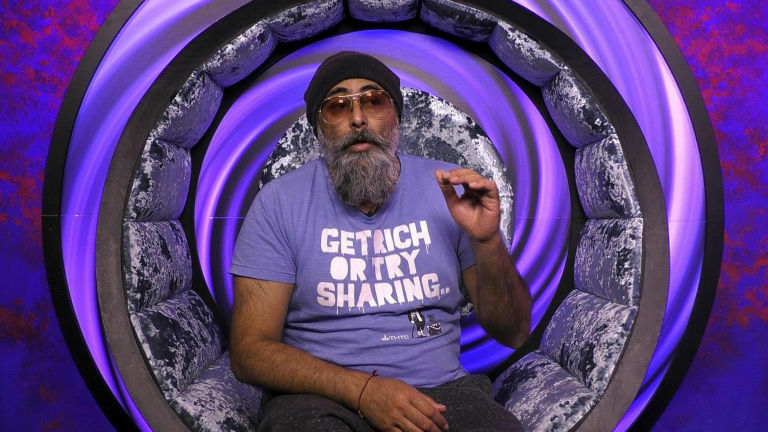 Unsurprisingly, he’s up again tonight and this time faces perennial eviction survivor, Hardeep. The public may sometimes have short memories, but everyone still remembers Jermaine’s highly questionable behaviour with Chloe, and so he will be leaving tonight. A slightly harsh edit for Hardeep last night won’t be enough to make it close, though it might have thrown some viewers off by making them think that there’s a chance he could go. The question is, after Hardeep survives for the fourth time tonight, how far can he go? He’s made a lot of impact on this show, much to everyone’s surprise. He did well in standing up to Roxanne and has offered some comic relief when it has very much been required. Having people vote for him series-long is a big advantage, and I would make him favourite to finish in third place right now. He’s changed perceptions, including mine, and I had to reverse an early, foolish ‘free money’ lay on him reaching the Top 3. He has a lot more about him than all of the other third place contenders and is the only one to have faced a public vote that costs money thus far. In case you have been living under a rock for the last few days, the whole situation with Roxanne seems to have handed Ryan the victory. I’ve been backing him since pretty much the start of the series, as he was always someone incredibly likely to feature in the Top 2. Ever since the Roxanne thing happened, I have ditched the vast majority of my Kirstie Alley green and am now sitting pretty with an enormous five figure position on Ryan. This is the biggest scandal to have happened ever since the show moved to Channel 5, even bigger than the David’s Dead debacle. It’s given Ryan the momentum needed to overtake Kirstie and carry him to a comfortable victory. There are still seven days to go, but the only way Ryan doesn’t win this now is if he has to leave the house due to some kind of illness, death in the family etc. Similar to the Jade Goody and Shilpa Shetty situation on Channel 4, it would look very bad if Ryan doesn’t end up winning the show. The Roxanne situation is being drawn out by Channel 5, both with an interview tonight with Emma Willis and this morning on Jeremy Vine. As I write this, I can hear the Loose Women in the background discussing how disgusting Roxanne is and how they all feel sorry for Ryan. This story has had a monumental impact and is going to run and run, despite Roxanne walking. If I were the producers, I would be very tempted to open the vote-to-win after Jermaine’s eviction tonight, in order to maximise voting revenue. The sooner the vote opens, the more likely it is that Ryan wins (not that it’s in any doubt). Friday’s eviction(s) could simply be the one or two housemates at the bottom of the vote. It would provide punters with an exciting eviction market for the first time since Natalie vs Hardeep. I’ll be back on Friday to discuss what I hope will be a double eviction, and/or one where all housemates are facing the vote. I dread to think what might happen in the meantime. Is this series done and dusted now, or is there still some value to be found? Will Jermaine face the booing mob tonight? Do you agree with me in that Hardeep is currently the most likely to finish in third behind Ryan and Kirstie? Feel free to leave a comment below.